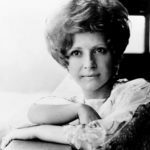 Brenda Lee is an American performer and the top-charting solo female vocalist of the 1960’s. She sang rockabilly, pop and country music, and had 47 US chart hits during the 1960’s, and is ranked fourth in that decade surpassed only by Elvis Presley, the Beatles and Ray Charles. She is perhaps best known in the United States for her 1960 hit “I’m Sorry”, and 1958’s “Rock in’ Around the Christmas Tree”, a United States Christmas standard for almost 60 years. "The amazing thing is that I’m sane. I’m not bitter. I’m not drugged out. I’m not broke. I’m still married to the same guy. My children don’t hate me."